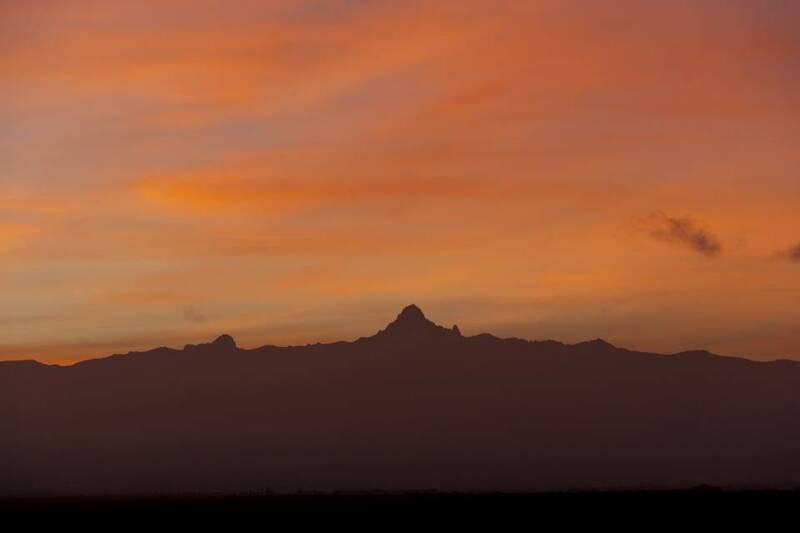 Underneath the watchful eye of Mount Kenya, you can discover the unspoilt wilderness of Ol Pejeta Conservancy, famous for pioneering conservation projects and refuge for the last two northern white rhino remaining on the planet. Not only is Ol Pejeta the largest black rhino sanctuary in the whole of East Africa, it is the only place in the region where you can see chimpanzee. It is also home to the Big Five, a mind-blowingly rich array of African game and over 200 migrant and resident bird species. The conservancy boasts one of the greatest game-to-area ratios of any reserve in Kenya in a pioneering and mutually beneficial land-management system. 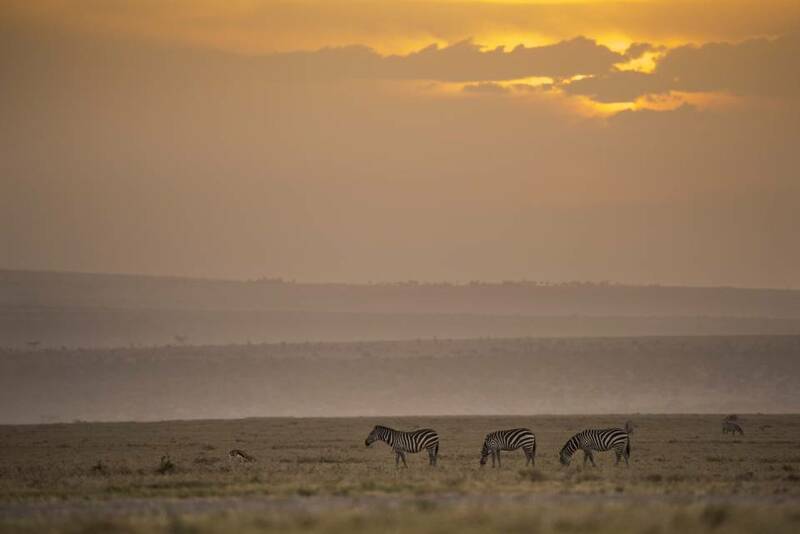 Zebras grazing in the sunset at Ol Pejeta. There are five main types of habitat on Ol Pejeta, a degree of diversity that contributes to the wide variety of wildlife found here. The grasslands that cover about 22% of Ol Pejeta provide forage for both domestic and wild grazers including the white rhino, and are a vital part of the Ol Pejeta ecosystem. Ol Pejeta uses livestock as an ecological tool to manage the grassland for the benefit of wildlife – in an innovative approach that allows wild grazers to benefit from nutrient rich grass as well as allowing the Conservancy to make an income from cattle farming. Just more than half of the conservancy is covered by open bushlands. These open bushlands are dominated by Acacia drepanolobium, the ‘whistling thorn’ acacia trees that are the primary food source of Ol Pejeta’s black rhino and giraffe, and are also eaten by elephants. Dense bushland covers 27%, and 5% consists of riverine habitat. Acacia xanthophloea (yellow fevertree) constitute the largest proportion of the riverine habitat. These trees provide both food and shelter for many herbivores, including giraffe, elephant, olive baboon and velvet monkeys. Swamps/marshland also feature in Ol Pejeta’s habitat: these areas support a large variety of aquatic species, birds, insects and herbivores such as waterbuck and elephant. Rhino at the Ol Pejeta Conservancy. 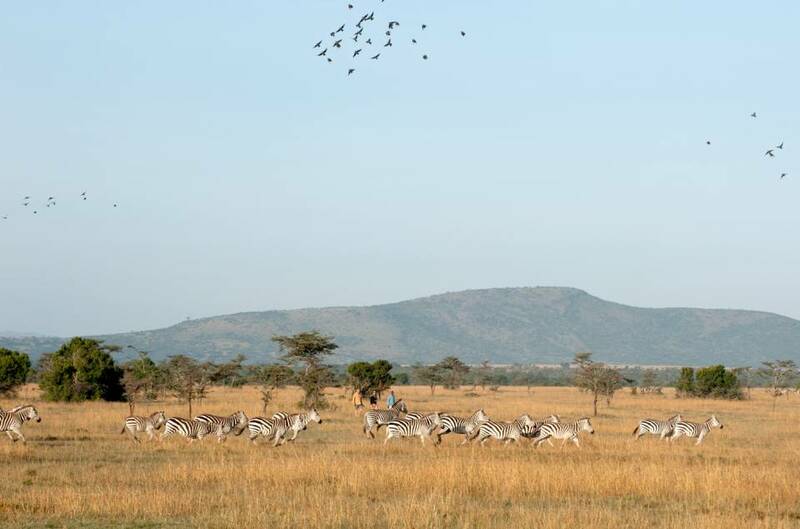 The Laikipia region has the richest diversity of wildlife in Kenya outside of the Maasai Mara – and protected areas like Ol Pejeta are key to conserving this natural wonder. The Big Five is fully represented: lion, Cape buffalo, African elephant, leopard and black and white rhinoceros thrive here. There are also over 300 bird species on the Conservancy. 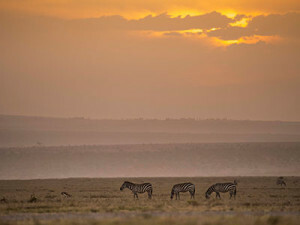 Ol Pejeta uses innovative conservation techniques, including drones to monitor species populations and smart fencing techniques that allow free movement of migratory wildlife. As the largest black rhino sanctuary in East Africa, and the only place in Kenya to see chimpanzees, the conservancy is also safeguarding some of the most vulnerable wildlife in the world, and advocating for change. Ol Pejeta has been advocating for the plight of chimpanzees and other great apes since 1993 – when it first opened the Sweetwaters Chimpanzee Sanctuary. The Sanctuary aims to provide a refuge for chimpanzees rescued from the black market, and is the only place in Kenya where these fascinating animals can be seen. There are 42 rescued chimpanzee at Sweetwaters. 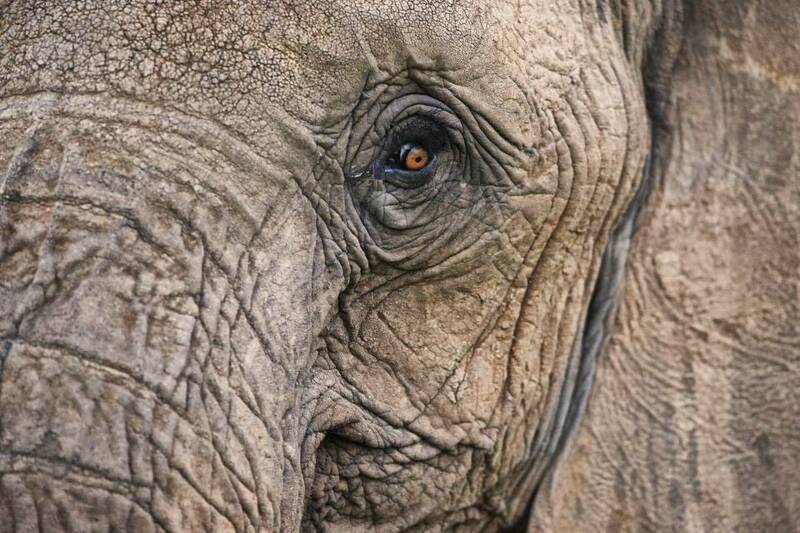 Many arrive with horrific injuries sustained from abuse at the hands of humans. At Sweetwaters they are nursed back to health before being introduced into one of the two large groups at the Sanctuary, who live in vast natural enclosures separated by the Ewaso Nyiro River. The chimps have set feeding times, and return to their indoor enclosures at night – but other than that they spend their days exploring, climbing, socialising, and learning to be chimpanzees all over again. Conservation of endangered species in their natural habitat represents a major part of the Ol Pejeta Conservancy’s mission. The Ecological Monitoring Department of the conservancy aims to identify and monitor key variables necessary to maintain healthy trends in both habitat and animal species. Ol Pejeta is home to the last three northern white rhinos on earth and provides sanctuary for over 105 critically endangered black rhino. 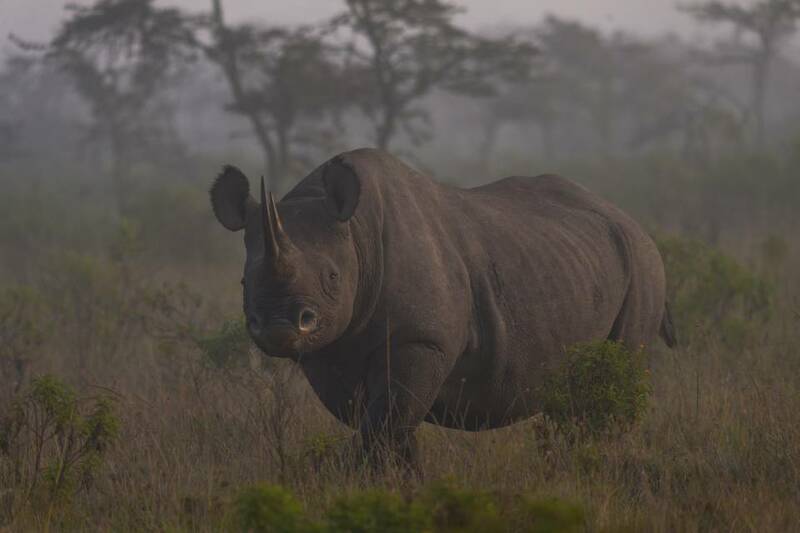 The Conservancy employs highly trained rhino protection squads, partners with international veterinary experts and ensures data is gathered regularly on each individual animal. Extinct in the wild, Ol Pejeta is home to the world’s last three surviving northern white rhinos. To keep them safe and in good health, Ol Pejeta has dedicated 24-hour armed security to watch over their 2,8km² enclosure, and ensure they have a nutritious diet supplemented with fresh vegetables. 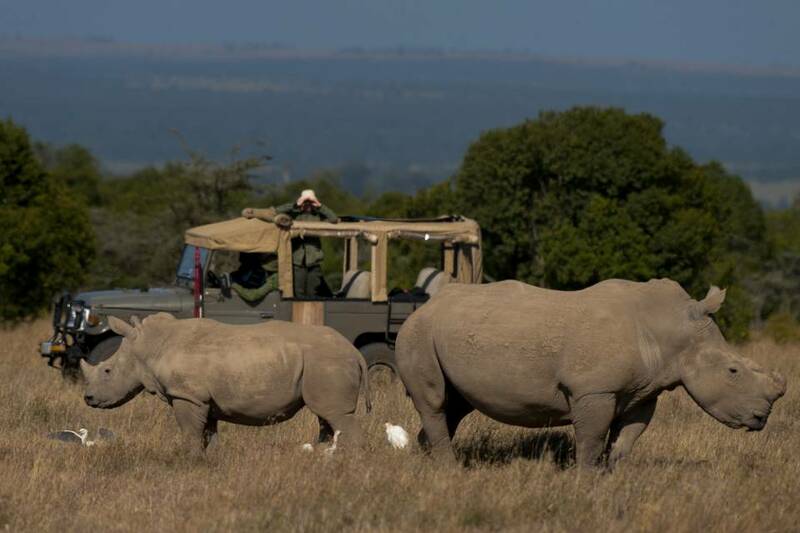 Ol Pejeta Conservancy introduced over 20 southern whites in 2005. There is actually no colour difference between white and black rhino. The name is said to to be a corruption of the word ‘wide’ – which refers to the white rhino’s square shaped lips used for grazing (black rhino have a hooked lip for browsing). The southern white rhino prefers open grass plains, making them easier to spot on safari. Ol Pejeta had 20 critically endangered black rhino in 1993. 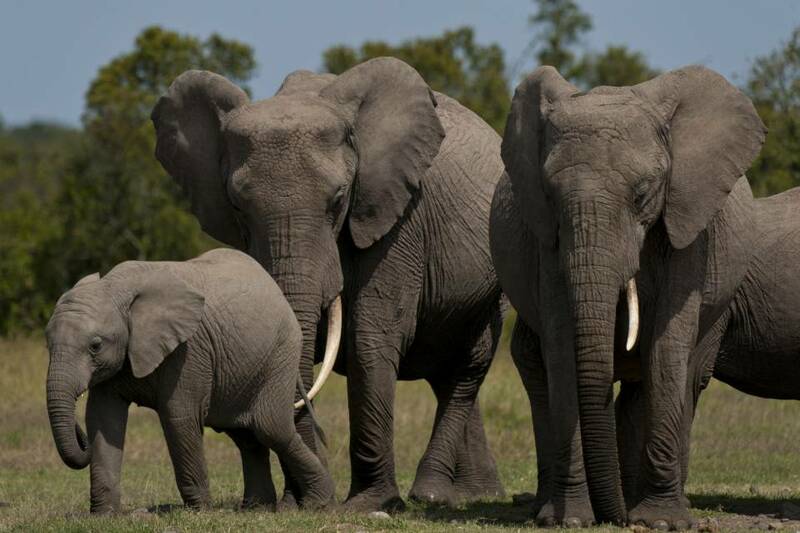 Successful breeding combined with tough anti-poaching operations allowed this number to flourish to 105. 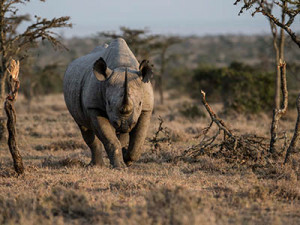 The conservancy uses innovative fencing techniques to allow wide-ranging species – like elephant and wild dog – to migrate through Ol Pejeta to neighbouring ranches and conservancies, while at the same time keeping the resident rhino secure. These fences consist of knee-high posts in the ground, situated very close together, that elephant, antelope and carnivores are easily able to jump or step over. Rhinos, however, cannot do this and so they are prevented from moving out to areas where they are in danger of being poached. Ol Pejeta’s 365km² is grazed by wildlife and livestock, in a partnership that is as beneficial to the grasslands as it is to the animals. Livestock is carefully rotated to manage the grasslands, and in fact helps to fertilise and rejuvenate the grass. Wild ungulates get the benefit of nutritious new short grasses once the managed herds have been moved to fresh areas. Through business enterprises and with the help of donors the Ol Pejeta Conservancy works to develop the funding necessary to pay for wildlife conservation work, and to provide financial assistance to projects aimed at improving the livelihoods of the people living in neighbouring communities. Ol Pejeta guarantees a wonderfully varied safari adventure in this remarkable corner of Kenya and deep insight into the future of conservation. Most of the Ol Pejeta team members, led by Alex Hunter, are drawn from the communities around the conservancy. Their genuine warmth and Alex’s infinite knowledge of the area combine to give you a truly personal experience at this intimate and traditional bush camp. The team creates exceptional safari experiences with a focus on the pioneering projects in the area – experienced safari travellers choose this base to gain a deeper understanding of the very best of world-leading conservation practice. Learn about the varied animal species and birdlife of the conservancy during morning and evening game drives with an expert guide, handpicked from the surrounding community. Our vehicles are open with a canvas canopy to give you the best viewing possible. 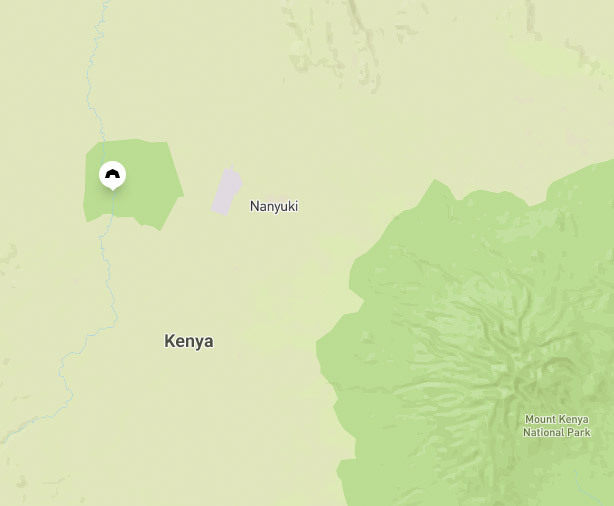 Do remember that Ol Pejeta is at an altitude of 1 800 metres and so it gets extremely cold at night and in the early mornings, especially between June and September: wear plenty of warm layers that you can peel off as the day warms up. 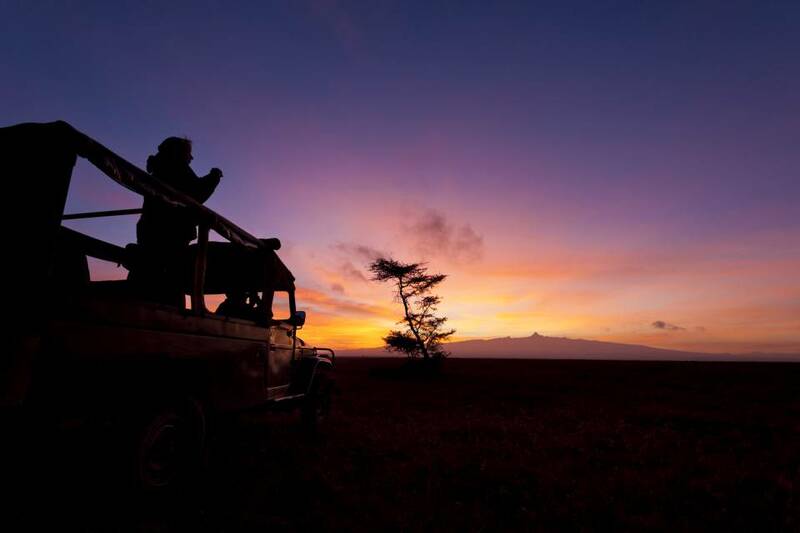 When the sun descends, use a powerful spotlight to track the nocturnal species and discover the magic of the Kenya’s nightlife. 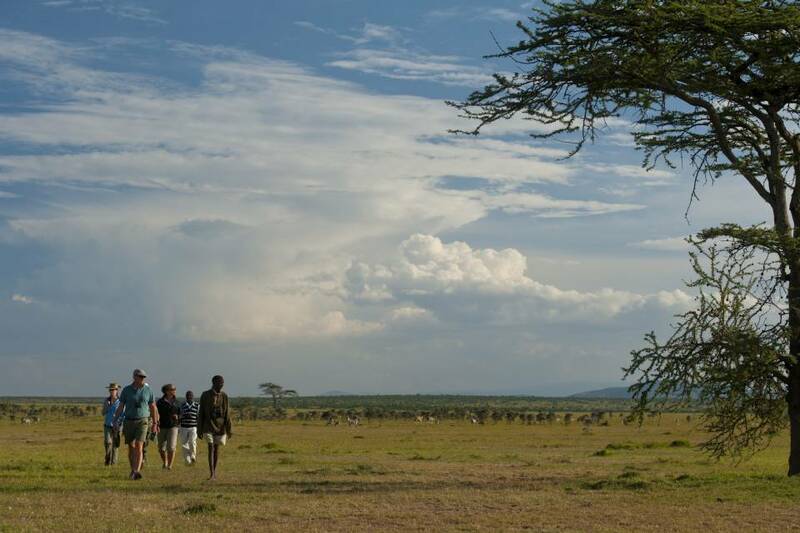 Discover the sights, sounds and smells of the bush on a game walk with renowned guide and owner of Ol Pejeta Bush Camp, Alex Hunter. The staff at Ol Pejeta Bush Camp is drawn from the communities surrounding the conservancy and is always eager to share their culture and history. Visit a local school or village for a rewarding experience that reveals a little more about the workings of the conservancy and daily life in the area. 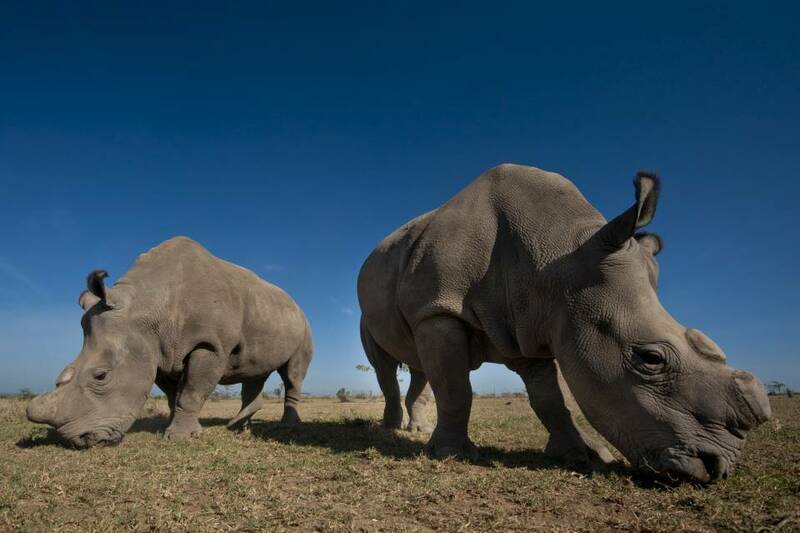 Today, only three Northern white rhino remain in the world – and you will find them at Ol Pejeta Conservancy, in a 2,8km² enclosure protected by 24-hour armed security. Take the opportunity to visit the enclosure and view these majestic animals in this private and intimate setting, and learn from the keepers about the efforts to preserve the last of this highly endangered species. Fully incorporated into the Ol Pejeta Conservancy, the Sweetwaters Chimpanzee Sanctuary remains the only place in Kenya where this highly endangered species can be seen. Over 40 chimps rescued from the bush-meat industry live in troops on either side of the Ewaso Nyiro River, in a project that aims to preserve chimpanzees and their habitats through public education. 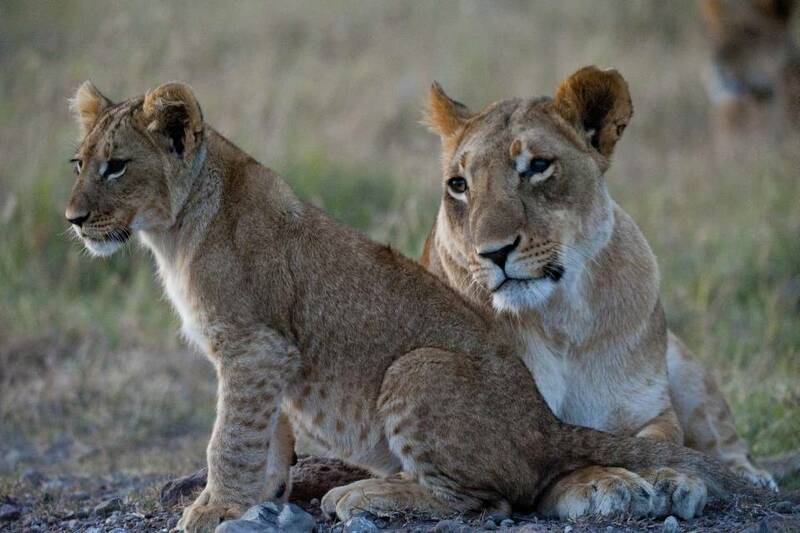 You will have a unique opportunity to spend time with the researchers in the conservancy, learning about and tracking the lions that live here. Information gathered is passed directly to the Ol Pejeta Ecological Department in order to further understand these magnificent predators. 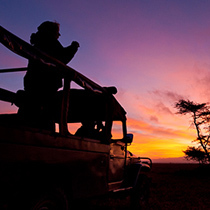 Ol Pejeta is open year round and offers excellent game viewing whatever the season. Typically, Kenya’s long rains occur in April, May and early June. This is followed by a cooler dry season between July and October. The short rains fall for a few weeks in November, and the hotter dry season is December to March. 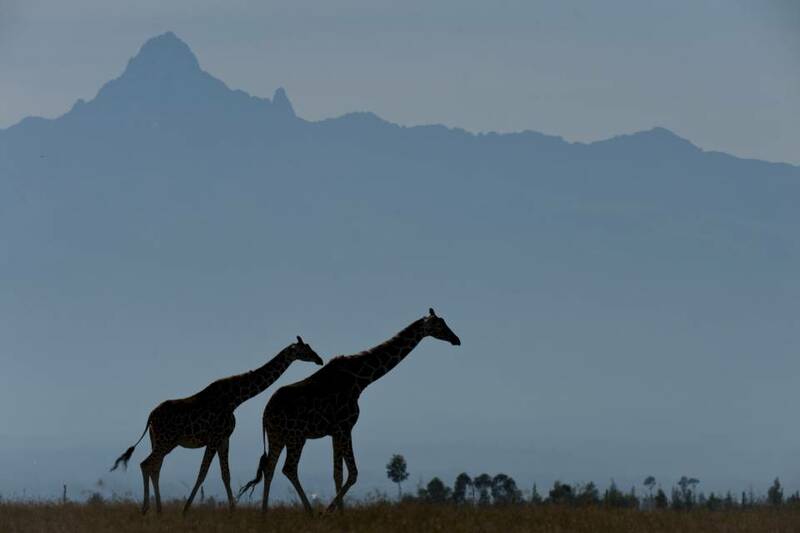 Ol Pejeta is a 360 km² private conservancy with a colourful history. It is a refuge for the last 3 remaining northern white rhino in the world, as well as a sanctuary for chimpanzee. Home to important populations of Grevy’s zebra and Jackson’s hartebeest, the conservancy is internationally recognized for its innovation. 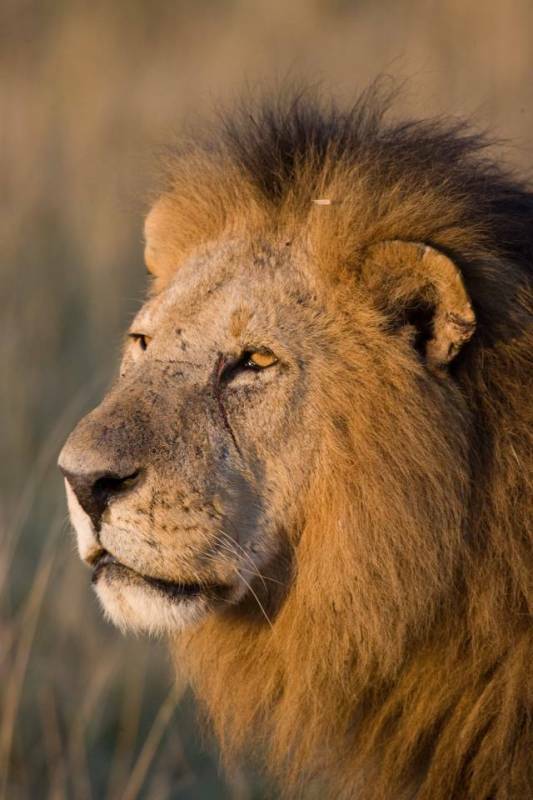 By visiting the conservancy you help to protect these vulnerable species. Set along the banks of the Ewaso Nyiro River in the south of the Laikipia region you’ll find Alex Hunter’s Ol Pejeta Bush Camp. 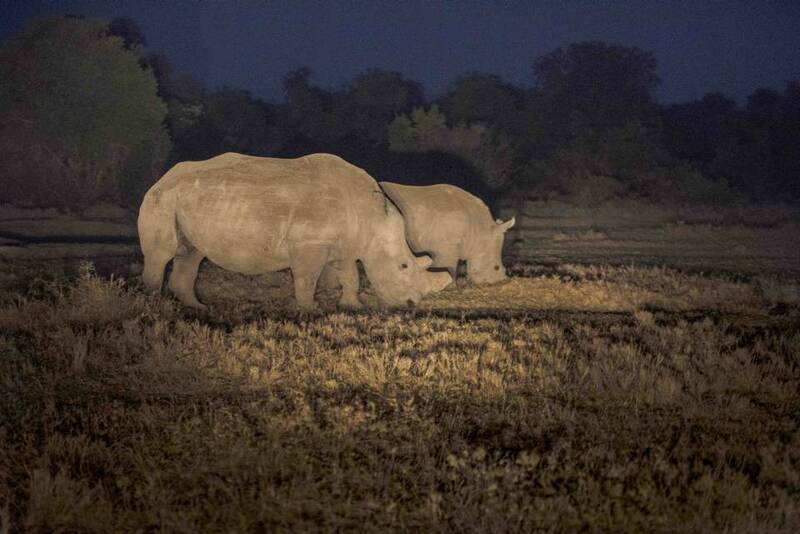 Ol Pejeta rhinos seen roaming at night. Male lion seen near Ol Pejeta Camp.